Photography is bad for you. I had not planned to write this blog until I woke up this morning, in pain, again. A lot of pain. I did not quite have to use my hands to pick my head up, but it was close. I’ve been there before, and I never want to go there again. I probably will, but I try very hard to avoid it, especially as it can get very chronic. Maybe I can keep it to irregular/episodic. I have had issues with my neck since before I was full time professional photographer. I come by some of it honestly: my neck and upper back were never structurally ideal. Nor were they notably problematic in my youth, not until I took a serious horse fall that broke my collarbone extravagantly. I was ready for it to be broken when the doc went to put the brand spanking new x-ray up, but I was not prepared for the daylight between the two sections. Over the years, pain and spasms crept into my life on a more and more regular basis. I kept problems at bay with a lot of yoga. I often joked that I should do a book called Yoga for Photographers. As my photography career picked up, I started having terrible pain and weakness in my hands, too. One week, in my busiest year ever, I photographed a wedding, flew across the country to photograph a corporate event, flew back, drove to a destination wedding and photographed it for 2 days. I woke up with such pain and weakness in my hands and forearms that I could not drive home. My life has not been the same since that day. The western medical establishment has been entirely unhelpful. My primary care doc immobilized both my hands for months. When it did not work she suggested doing it for longer. The expensive hand specialist pretty much shrugged. The hand therapist suggested I needed more strength and flexibility, since that is what the standard approach was, even with a hyper mobile female client with the grip strength of a man. Her work just inflamed everything more regularly. So, I have changed what and how much I can do, both on an every day basis, and over the long term. Work takes priority. Sitting at the computer for post production is often more painful that getting out shooting, though I have wrist rests, an adjustable keyboard tray, and some other ergonomic accommodations. I make it my business to find a chiropractor who helps my pain, both acute and long term management. I get a massage when I can. I use acupuncture when things get chronic, even with all the above. I found a yoga class that does not require me to stress my hands too much, avoiding all those downward dogs and planks. I have more pillows that I care to admit, searching always for the perfect one. 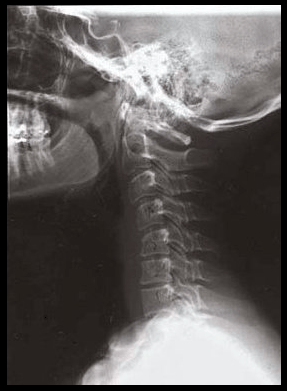 It was not until a minor car accident in my 30s that my neck was ever x-rayed. People! My neck is epically messed up. It curves backwards in a way that makes chiropractors gasp in horror. As much as the years of holding and hunkering under huge, heavy cameras has contributed to my aches and pains, it’s really my neck at the heart of my problems. Taking care of myself is boring. Being in pain is depressing, frustrating, and scary. OK, world, I’ll take boring self care for $100. Gods, I feel so useless when I can’t work. Maybe I still need to do the Yoga for Photographers project. So, while I exhort myself to take care of myself, let me exhort you to do the same. Stretch that body: we sit poorly and crouch over computers, steering wheels, cameras, patients, clients, counters… you name it. Strengthen that core. Break those bad postural habits. Use heat and ice: my favorite is alternating, for most things. Step away from that screen. Get the rest you need. Find what works for your body. If you have any suggestions, please comment! OK, off for some gentle stretching as soon as I have this ice pack back in the freezer. this article Photography is bad for you.